If you have a family, you’ll consider different criteria when thinking about where to move than a single professional or older couple might. For example, when your kids are young, you’ll want an area that offers convenience, low crime, affordability, high accessibility to food and recreation, and a highly rated school district. If you have a growing family and are considering moving somewhere in the KC metro area, Johnson County, Kansas, is the place for you. JoCo, including the cities of Overland Park, Lenexa and Olathe, consistently ranks at the top of dozens of national “best” lists because of its friendly and safe neighborhoods, well-educated population, low cost of living and low taxes, nationally-ranked public schools and institutions of higher education, state-of-the-art health care, high-paying jobs and diverse cultural and recreational amenities. Olathe was just ranked No. 23 of 50 “most livable” best cities in the country by USA Today. Overland Park is consistently listed among the top best places to live, top-10 most educated cities, one of healthiest U.S. cities and one of the happiest cities in the U.S. Niche recently ranked it the No. 2 best U.S. city to buy a home in. JoCo offers a plethora of family-friendly amenities. From shopping and movies to food and sports, you’ll find it in all close by in JoCo. For those who like to spend family time outdoors, the Johnson County Park & Recreation District maintains more than 6,000 acres of parkland and open green space, including Shawnee Mission Park. Another notable attraction for families is Overland Park’s Scheels Overland Park Soccer Complex. It’s the only complex of its kind in the country and is responsible for Overland Park being named the No. 1 soccer city in the nation by Livability.com. The $36 million complex covers 96 acres and offers 12 lighted, regulation-size synthetic turf fields. All the great amenities the county has to offer means Johnson County real estate is always in demand. It’s a great time to sell a home in Johnson County, too. The median selling price for a residential home in JoCo skyrocketed from $195,000 in January 2014 to $269,000 this year, or an increase of about 38%, according to INK magazine. In the hottest markets like Prairie Village and parts of Fairway, prices are up more than 10% in just the past year. 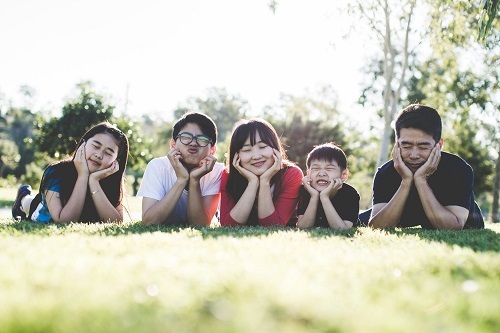 If you’re considering moving the family to JoCo, you’ll need an expert team to help you find the best area and home for you and your kiddos. Call Team Real Estate at 913.451.5711 or visit us at www.teamre.com. We’re the No. 1 Johnson County real estate team!